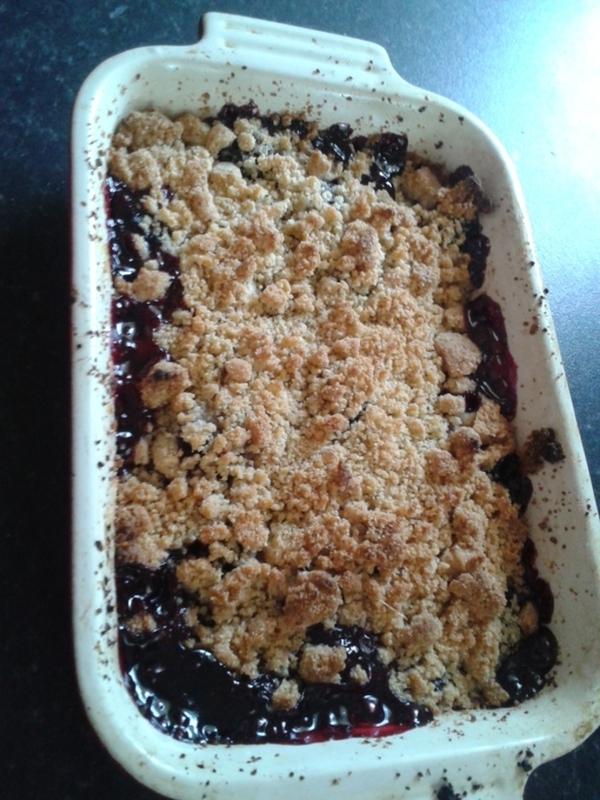 When a dessert can be assembled, cooked, and on the table in 30 minutes that's quick in my book. 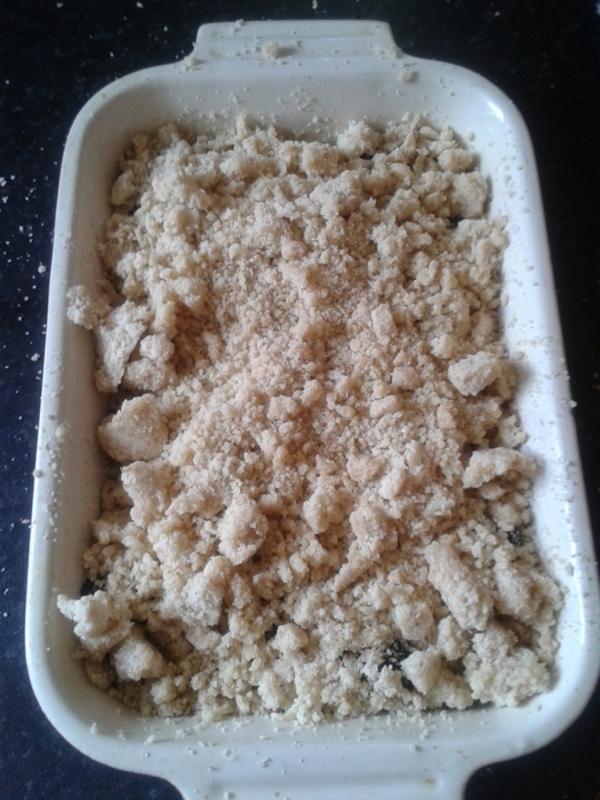 Previously made crumble - equal parts of butter sugar and flour rubbed together to form crumbs. 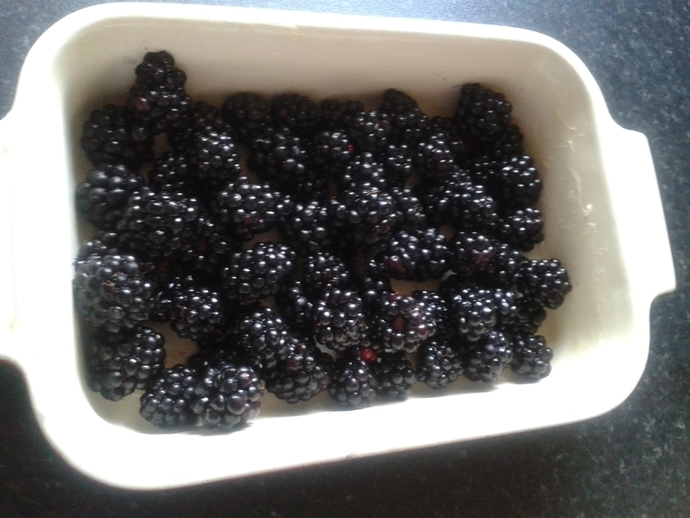 Butter a small pie dish and pour in the berries. 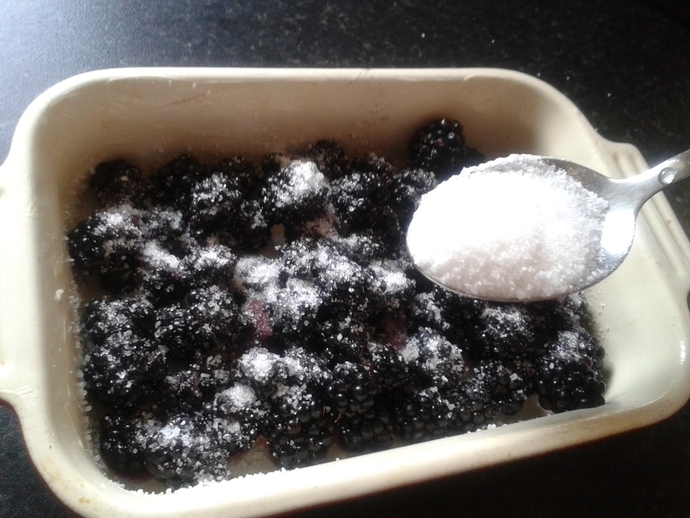 Using a spoon scatter over the sugar. 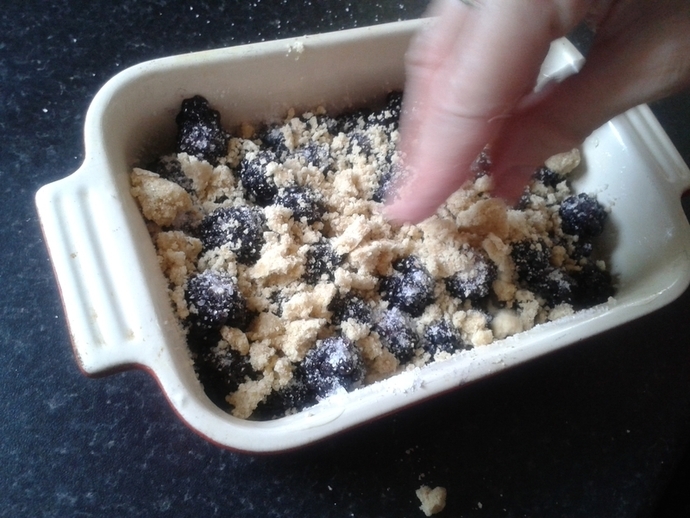 Using your fingers, evenly top the sugared berries with your previously made crumble. Place in the oven for 25 minutes gas mark 4/180 degrees. Once baked leave to cool for at least 5 minutes. 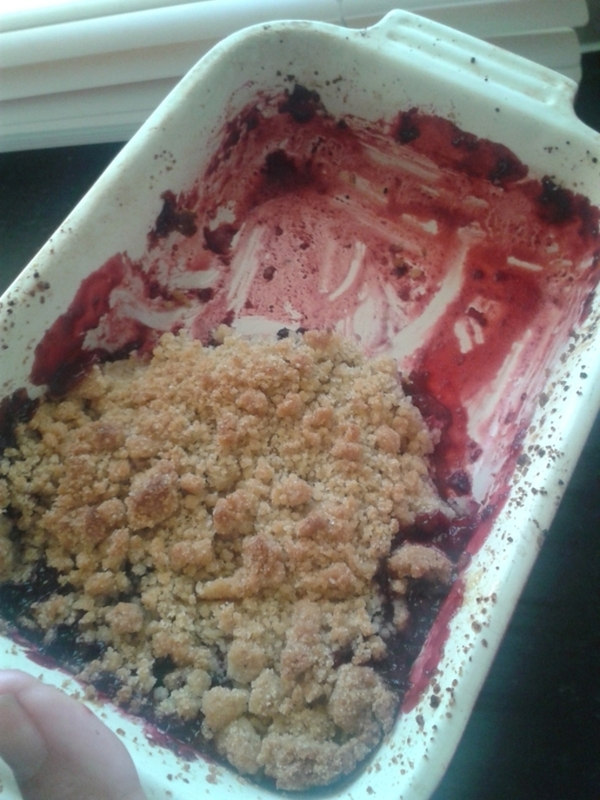 If there's any left over store in the fridge for up to three days and enjoy with either custard, double cream, or eat alone.